#1: Never park in a dark or secluded area, especially if you plan on leaving your vehicle for a long period of time. Car thieves look for vehicles that appear to be in disuse so either park your car in an attended area or remove the battery to disable it and prevent a quick getaway. 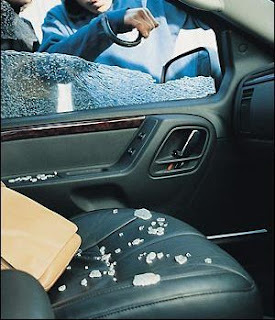 #2: Vehicles that do not have an activated or visible alarm system are easy targets. Many cars come with anti-theft systems but their owners do not have it activated. Simply make sure that you activate your alarm system and thieves will steer clear. 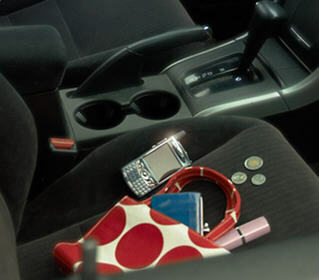 #3: Keep all of your valuables hidden from sight in your vehicle. If you have something of importance in your car such as electronics then either stash them in your trunk or hide them from plain view. They’re easy to steal and easy to wipe clean and sell so just don’t take the risk. Even leaving charging cables can indicate to thieves that you may have something of greater value in your vehicle so hide everything! If you keep these anti-theft tips in mind next time you’re leaving your car somewhere then you can prevent the theft of your vehicle. So stay aware and be smart about it!